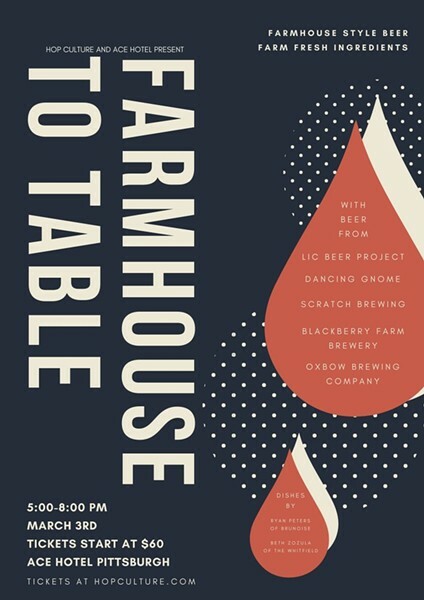 From the minds behind Juicy Brews Pittsburgh comes Farmhouse to Table, an intimate, innovative event celebrating beer and freshly-farmed ingredients. Five breweries and two chefs will offer farmhouse ales and paired, small plate dishes. Only 225 tickets will be sold.